With warmer days on the way, chilled soups are a bright and refreshing alternative to a steaming bowl of soup. And while cool soups are certainly a solution to the heat of summer, they are also delicious year round. In fact, the slightly chilled temperature often amplifies the flavor and freshness of the ingredients, especially when the soup is as elegantly simple as this pea soup. I prefer the savory flavor of the chicken stock in this recipe, but additional water may be substituted for a vegetarian version – in which case, be sure to taste and adjust the seasoning accordingly. The soup may be served slightly chilled or at room temperature. Serve as a light first course for 3 to 4 people, or divvy it up between 6 to 8 demitasse cups for a pretty appetizer. 1. Melt the butter in a medium saucepan over medium heat. Add the shallots and sauté until translucent without coloring, 3 to 4 minutes. Add the peas and sauté until bright and crisp-tender, 2 to 3 minutes. Add the stock, salt, and pepper and simmer until the peas are very tender, 3 to 4 minutes. 2. Carefully transfer to a food processor and process until smooth. Add 1 cup water, 1/4 cup at a time, until you reach your desired consistency. (The soup should be a little thick and not too runny.) Taste for seasoning and transfer to a bowl to cool to room temperature. 3. Whisk the crème fraîche and lemon zest in a small bowl. 4. Divide the soup between serving bowls or small cups. Add a spoonful of the cream to the soup and gently swirl, leaving light traces of the cream visible. Garnish each serving with 1 to 2 radish slices and sprinkle with snipped tarragon leaves. 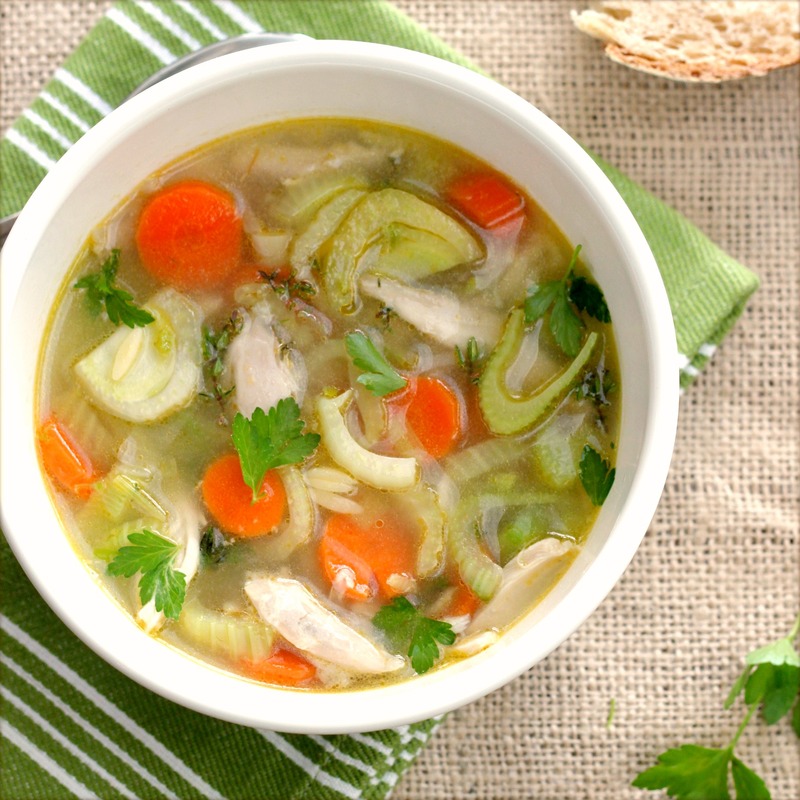 In this in-between time of winter and spring, a chicken vegetable soup is appropriately light and soothing. In this recipe, the comfort of chicken stock is enriched with carrots, fennel, and green garlic. Green garlic is unique to spring. Resembling a thick scallion, the green stalk and bulb of young garlic is harvested before the plant matures and the bulb divides into cloves. In its raw state green garlic has a pungent aroma, yet when cooked it grows tame, providing a mild, sweet and herbaceous backdrop to the chicken stock. Heat the oil in a soup pot over medium heat. Add the green garlic and 1/2 teaspoon salt. Sauté until the garlic softens and its aroma loses its pungency, about 5 minutes. 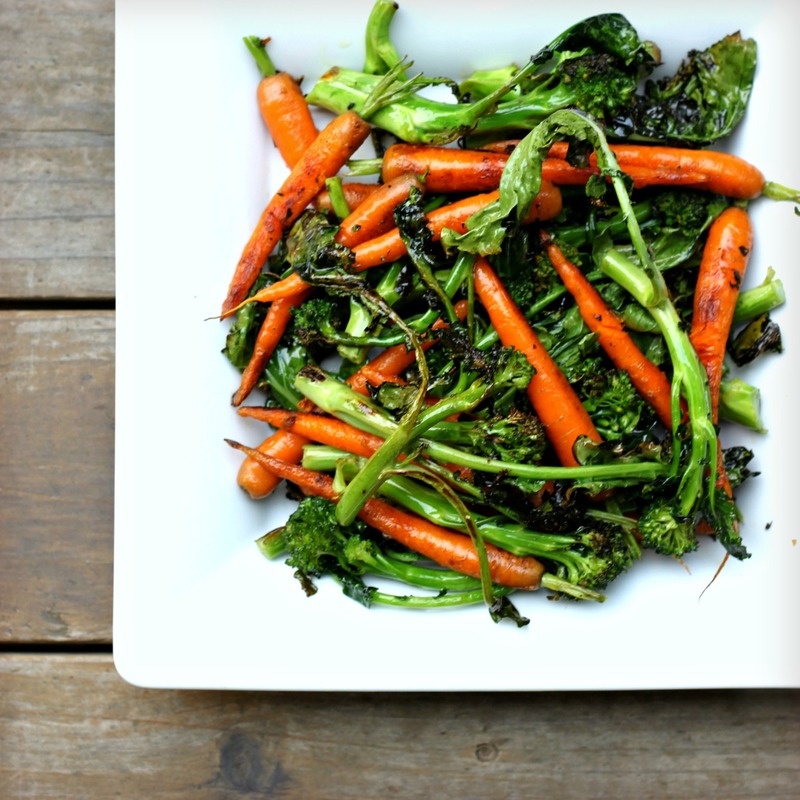 Add the carrots and fennel and continue to sauté until the carrots brighten in color and the vegetables begin to soften, 2 to 3 minutes. Add the stock, orzo, thyme, and 1/2 teaspoon salt. Bring to a boil, then reduce heat to medium-low. Simmer, partially covered, until the orzo is cooked through and the vegetables are tender, about 20 minutes. Taste for seasoning and add more salt if desired. Stir in the chicken and parsley and continue to cook until the chicken is warmed through. This chilled soup is light and luscious. 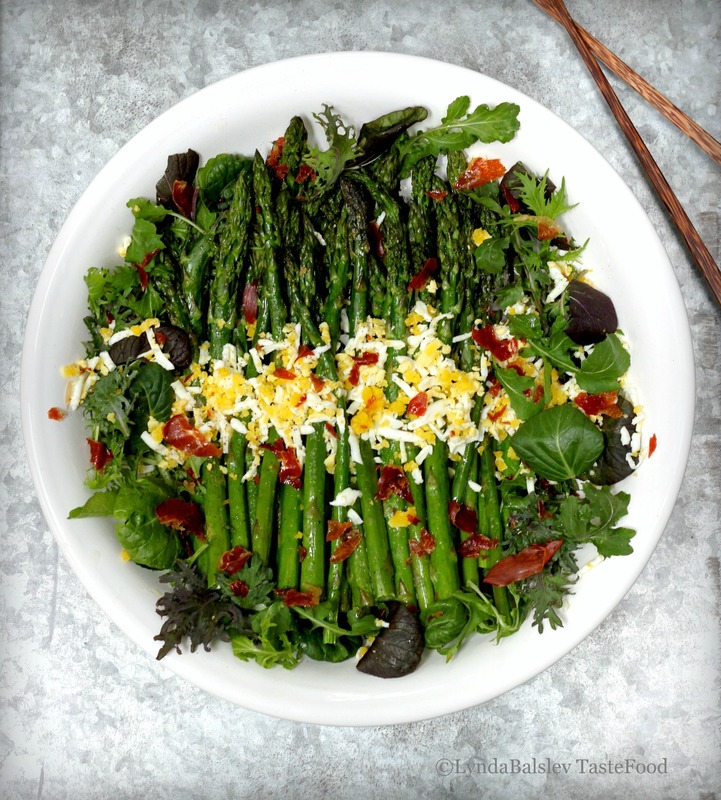 Each billowy spoonful is a harbinger of spring in both its simplicity and presentation. 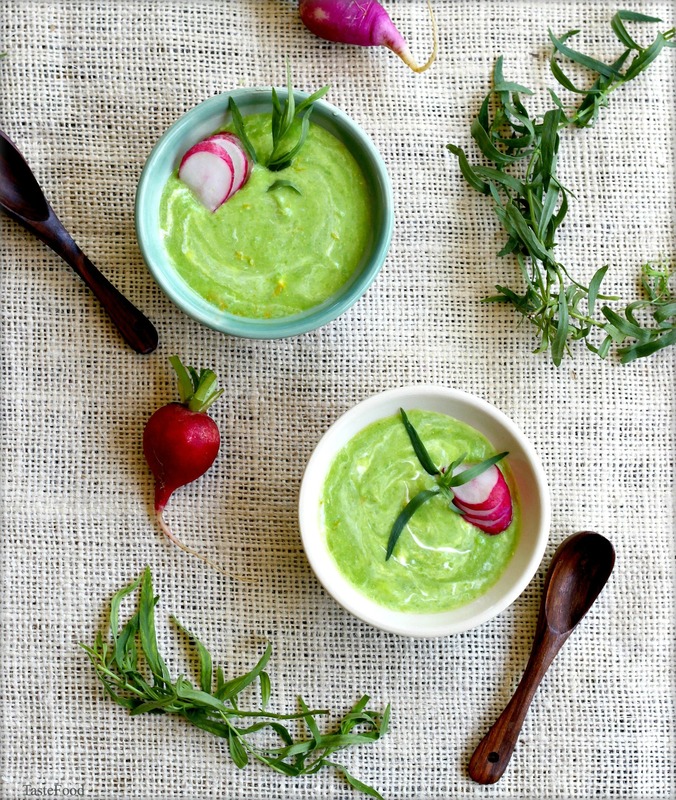 A sweet blend of English peas is balanced by the brightness of lemon and the tang of crème fraîche. 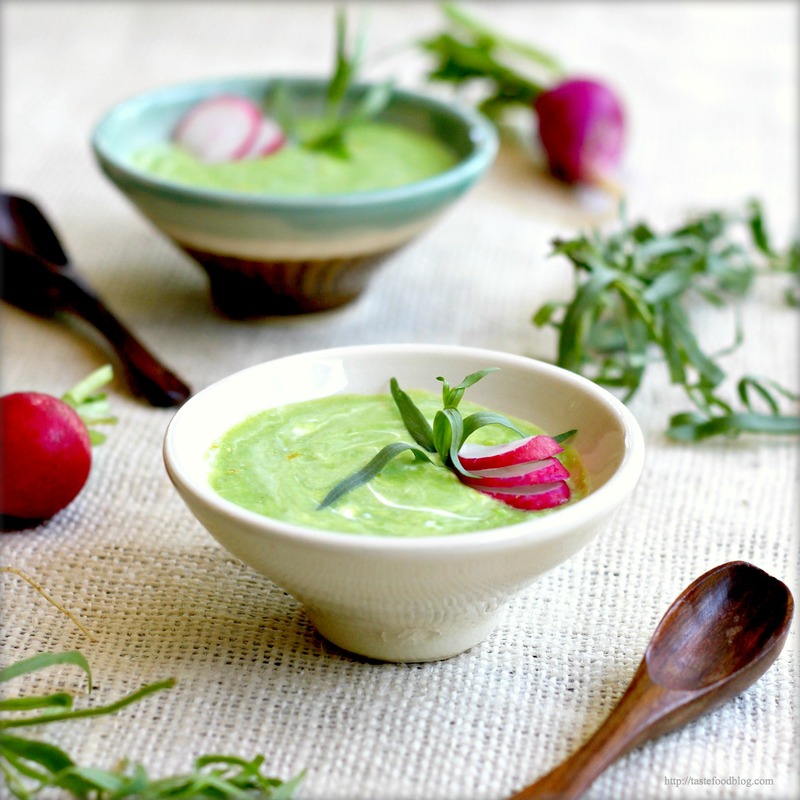 The licorice notes of tarragon and slivers of peppery radish finish the soup, adding freshness and texture, not to mention a beautiful swath of pink to the emerald purée. 1. Melt the butter in a medium saucepan over medium heat. Add the shallots and sauté until translucent without coloring, 3 to 4 minutes. Add the peas and sauté until bright and crisp-tender, 2 to 3 minutes. Add the stock, salt, and pepper and simmer until the peas are very tender, about 4 minutes. 2. Carefully transfer to a food processor and process until smooth. Add the 1 cup water, ¼ cup at a time, until you reach your desired consistency. The soup should be a little thick and not too runny. Transfer to a bowl to cool and taste for seasoning. 4. Divide the soup between serving bowls or small cups. Add a spoonful of the cream to the soup and gently swirl, leaving light traces of the cream visible. Garnish with snipped tarragon leaves and sliced radishes. I hope you like peas, because I have a few pea recipes coming your way. The first is this pasta recipe which I like to make when English peas first appear in the market in March. It’s the essence of early spring, a season which brings a mixed message of cool rain and gentle sunshine. Crispy pancetta swathed in cream and cheese provides winter warmth, while sweet peas and delicate pea tendrils add earthy fragility, an early hint of the garden awakening from its winter slumber. No worries if you can’t get your hands on pea tendrils, which are the wispy shoots of the snow pea plant. 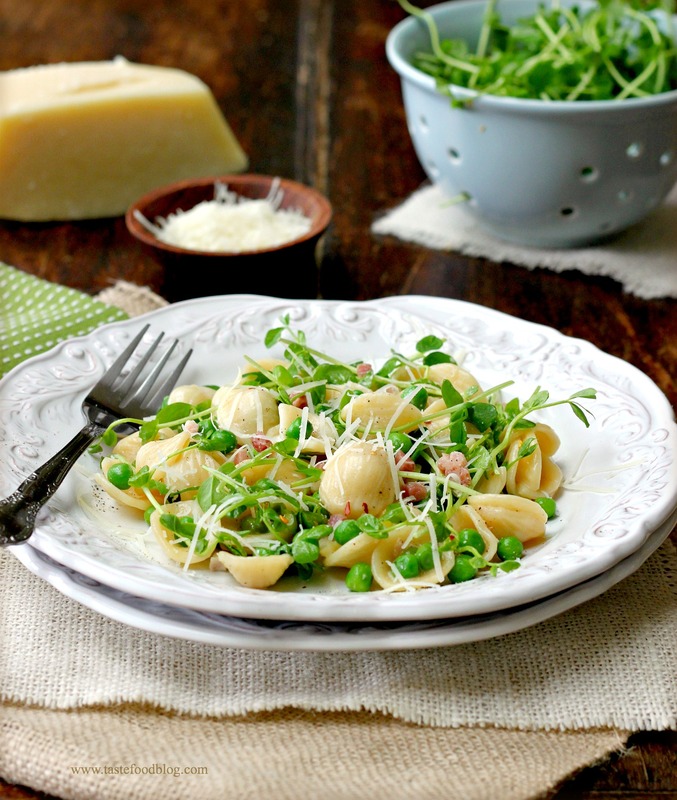 This dish is equally delicious simply with pancetta and peas. And for that matter, if you can’t get your hands on fresh peas, then frozen are just fine, too. If you are using defrosted frozen peas, add to the sauce in the end to warm through. Serves 4. Bring a large pot of salted water to a rolling boil. Add orecchiette and cook until al dente according to package instructions. Drain. While the pasta is cooking, heat oil in a skillet over medium-high heat. Add pancetta. Sauté until light golden, about 3 minutes. Transfer to a plate lined with a paper towel. Drain all but 1 tablespoon fat from the skillet. Add fresh peas (if using), garlic and red chili flakes. Sauté until fragrant, 1 minute. Return pancetta to the pan. Add cream, stock, salt, and pepper. Bring to a boil, then reduce heat. Simmer until cream is slightly reduced and thickened, and peas are tender, 8 to 10 minutes. (If using defrosted frozen peas, add to the cream after it is reduced and thickened and simmer until peas are heated through). Remove from heat and add the orecchiette to the skillet. Stir to combine. Add the pea shoots, the cheese, and mint and stir again. Serve immediately with additional cheese for garnish. ‘Tis the season for lemons. 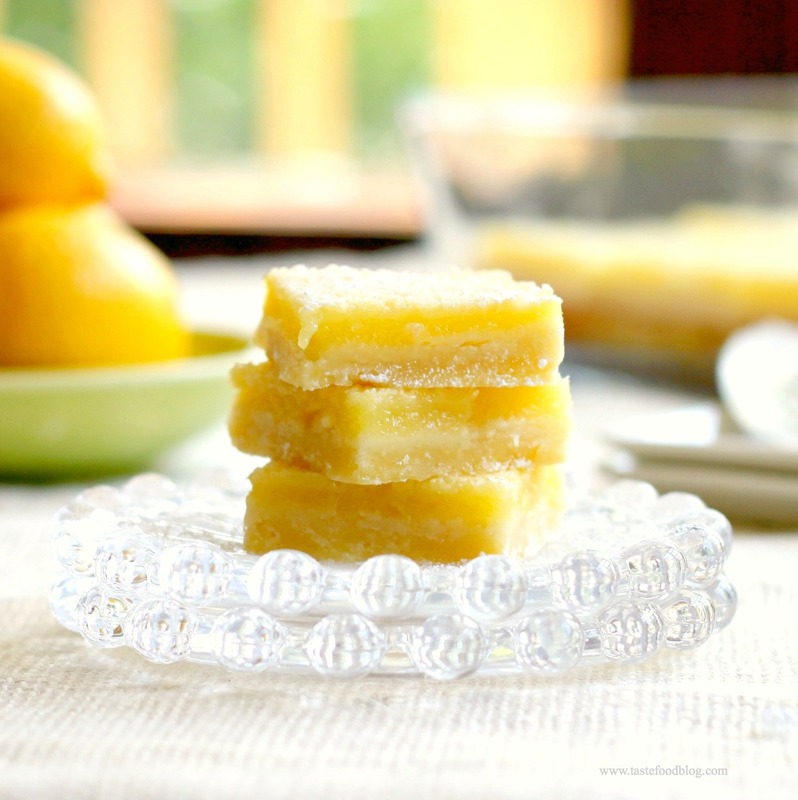 Actually, late winter is the season for lemons, but happily the season spills into spring, offering up bushels of citrus which beget light and lovely desserts, such as these Lemon Bars. Lemon Bars are a family favorite, a quintessential childhood treat that pleases adults and kids alike. The key to a good lemon bar, in my book, is that the filling must be intensely lemony packing a wallop of tart, with just enough sugar, but not so sweet that it’s cloying. The final touch is a pinch of sea salt, which keeps the sweetness in check and allows the lemon to shine through. This recipe is adapted from and inspired by many sources, including Ina Garten and, most recently, Lucas’ Lemon Bars from Food52, as well as my personal weakness for sea salt. Makes 32 two-inch square bars. Preheat the oven to 350 F. Butter a 9 inch by 13 inch baking pan. Line with parchment and butter the parchment. Combine the pastry ingredients in the bowl of an electric mixer fitted with a paddle attachment. Mix until the dough resembles coarse lumps and just begins to come together. Dump the dough into the prepared pan and, with your fingers, evenly press the dough to cover the bottom of the pan. Bake the crust until it just begins to turn golden, about 20 minutes. Remove from oven. Whisk the filling ingredients together in a large bowl until blended. Evenly pour over the crust. Return the pan to the oven and bake until the filling is set but not coloring, about 25 minutes. Remove and cool completely on a rack. Cut into bars. Dust with confectioner’s sugar and lightly sprinkle with sea salt flakes.